Sorry for the very late post! I had a hectic several weeks, but I should be able to catch up and post regularly now! May’s Ipsy theme was Jetsetter! (Ipsy is a subscription beauty service which sends you five beauty products, either samples or full-sized items, for $10 per month! If you are interested in subscribing, feel free to use my referral link.) 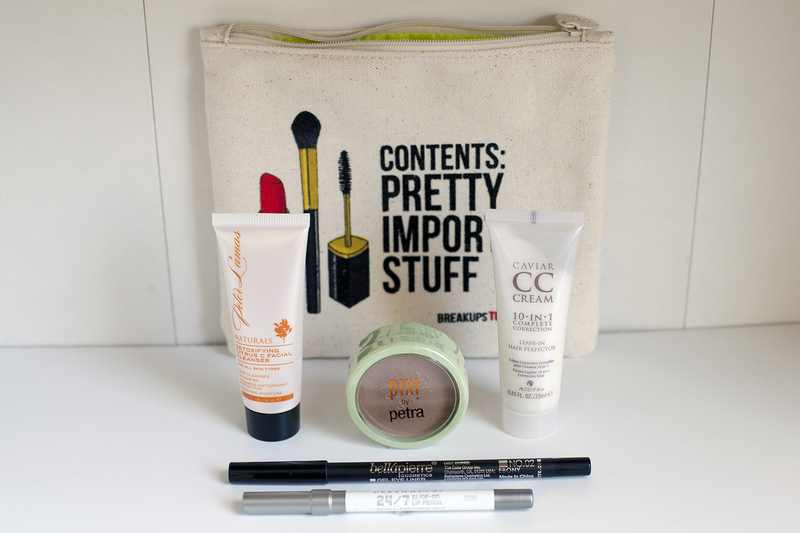 For this month’s bag, each subscriber received one of three possible designs by Breakups to Makeup! The full-size versions of these bags retail for $24 at Sephora. Although the design isn’t exactly my style, I do like the material and size. The outside material is canvas-like, while the inside is polyester. Also, its height seems to be a bit taller than previous bags. The color of the inside lining also differed; mine is a bright yellow-green. The products and the bag I received this month! Overall impressions: This bag has a high value and good mix of products! I can definitely use everything, and I’m excited to try everything out. Plus, the bag is a refreshing change from previous bags in both style and material. Overall, I’m pretty happy. I would have liked to receive the Chella eyebrow pencil or the full-size Oscar Blandi dry shampoo, but beauty boxes are usually a gamble. This was a sample I was excited to receive! While I have plenty of lip products from subscription boxes, this is the first lip liner I received. I still need to use it more to determine its effectiveness, but so far, I enjoy this product. It’s a nice size to travel with, and the color is clear, so it may be used with any color lip product. However, I don’t particularly care for lip gloss in general, and I dislike the blister packaging. But they were bonus items, so I can’t really complain. Even though this is a sample size product, it’s a very generous size that will last me for a while. It’s somewhat shimmery, which I don’t like (I would prefer a non-shimmery bronzer for contouring). I can imagine this would be multi-purposed as an eyeshadow as well. I’ve been wanting to try more bronzers as well, so I’m pretty happy with this sample. The tip of this arrived broken off for me, which is okay since it can just be sharpened. 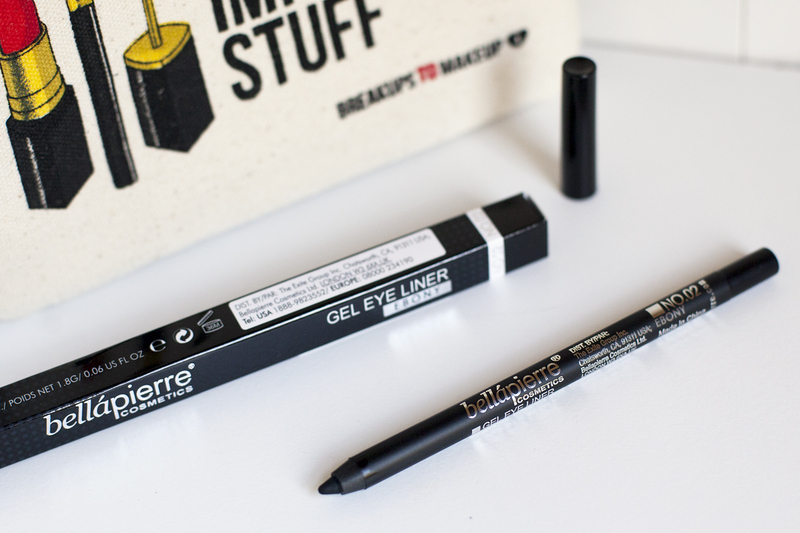 I typically wear liquid eyeliner instead of pencil since I like the precision, so I will have to test this out and see if it really wears well. This is a full-size product, which is nice! Black eyeliner is always a staple for me. I used this for a while when traveling a while ago, but unfortunately forgot it in a hotel bathroom… Oh well. For a citrus facial cleanser, it smelled less citrusy than I expected. It lathered pretty well, but I think my skin felt quite oily after using it, so it might have been too harsh for me (I usually use Cetaphil). I have a regular skin routine already, so I didn’t particularly care for this product. I heard a lot of good things about this product, so I was excited to try it! One interesting thing I noted was that it seems to make my hair smell a bit smoky after using it? I’m not sure how to describe the smell, but it was interesting. This claims to provide 10 benefits, including heat protection, moisture, etc. I have a lot of hair products from boxes recently, so I’ll have to see how this compares to oils and other products. I love this post and the high quality photos! 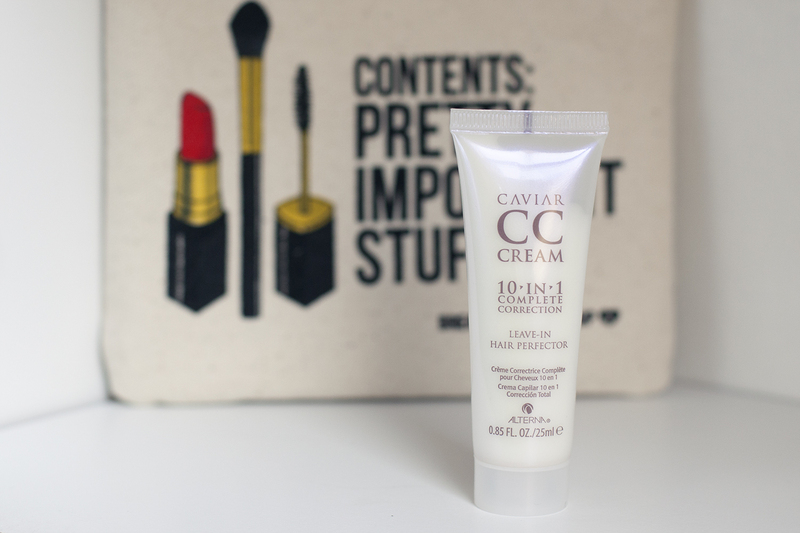 I love the caviar creme. I have thick tangly hair and have been able to use it on its own without another conditioner which is great for traveling. Nice description, review, and pictures. I’ve been meaning to post something similar, I just haven’t found the time. I subscribe to both so it’s nice to see what others are receiving. I love the Alterna CC cream, it makes my hair so soft! Very nice !!! Such an original idea!! I love that u choose high-quality products ! I Love Ipsy and here is a peak at the goodies that came in their May subscription bag. Your blog is seriously so cute and your pictures are amazing. 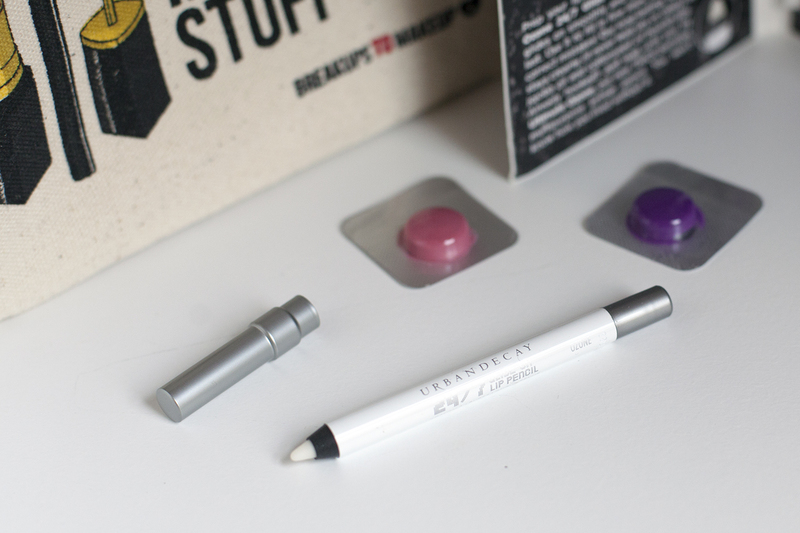 Last month I had been so set on Birchbox, but after reading this post I think I’ll need to try Ipsy too! Thank you! 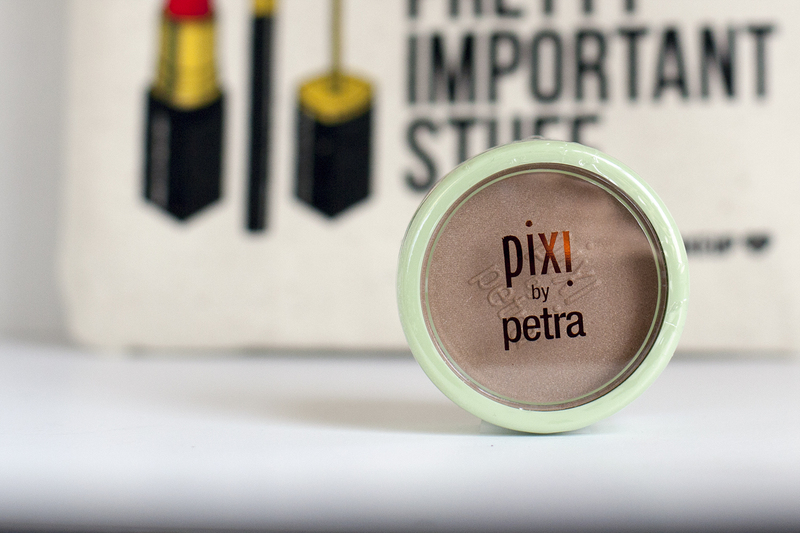 I enjoy photography, so I try to take nice product photos and write a little description on what I think of the product! Great photos and review! These products look wonderful and seem to definitely be worth the sub. Thank you for liking my post and checking out my blog. I will be happy if you followed! Actually since I started to learn more about cosmetics and that they can contain hazardous ingredients I use even less than before! In my blog I have a category on cosmetics. 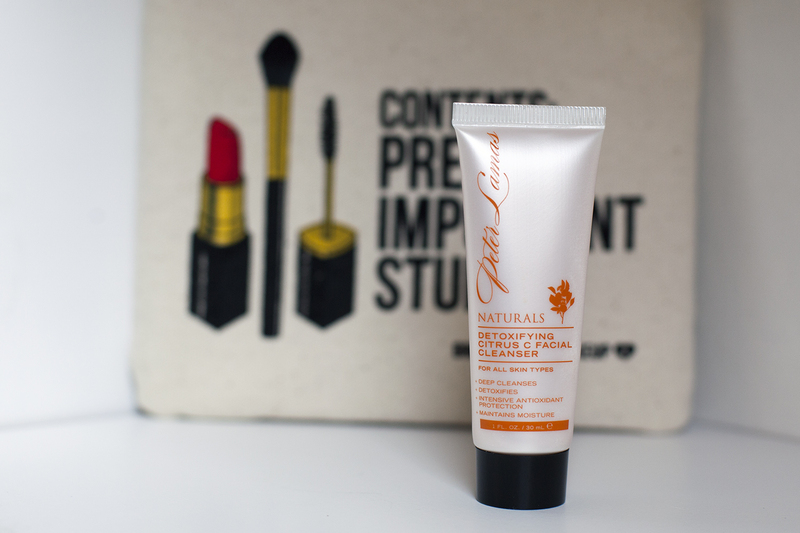 I write about those concerns and I also do some reviews on cosmetics. It would be nice if there was such a monthly package with only eco certified products. Thank you for an interesting blog I will continue to check it out! I’ll check it out! I actually have a simple skincare and makeup routine, but I love getting boxes as nice monthly surprise to try out new products! There are so many beauty boxes nowadays that I think there probably is a box with only eco certified products out there! Awesome site!! I’ll be following for sure! I am so glad I decided to sign up for this. Wow! Okay so I am already in love with you page! You are very detailed and you picture quality is AWESOME! That orange face wash I’ve used so much. I’m so buying one when I’m done my same. So amazing!